Finding bail bonds Burlington, NC, doesn’t have to be as difficult as it seems. When your loved one has been incarcerated in Alamance County, you don’t have the luxury of time on your side. Getting a defendant out on bond can be a very confusing process, only made worse by most bail bonds agencies. That’s where Around the Clock Bail Bonds comes in. Our professional team is here to help with your bail bonds needs in Burlington, NC. We are dedicated to meeting and exceeding your needs, acting as the front line of defense for your loved ones. We know that no two cases are alike, and will make sure that your case is handled in an effective and timely manner. 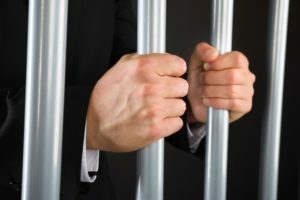 Now that you’ve laid the groundwork and decided on Around the Clock Bail Bonds Burlington, NC, we’ll explain the process to you in the interest of streamlining everything. Step One- Hiring a Bond Agent: Bail can be expensive, and this is where Around the Clock is here to help. You pay a small fee (the law limits this fee to a maximum of 15%) to our bond agents, who then post a bond for the full bail amount set by the judge. This is a guarantee that the defendant will appear in court when summoned. Step Two- Required Information: When preparing to contact a bail agent, you will need the following information: the full name of the person in jail, in which Alamance County jail they are located, their booking number, their charges, and any other pertinent information. Step Three- Posting Bond: Where do you go to post? This one’s simple! Our agents are happy to meet you at the jail and, in some cases, your home. Step Four- The “When’s”: When will the bondsmen post the bond, and when will your loved one be released? After your premium has been paid, and any collateral signed over- our agents will post the bond. Your loved one will be released as soon as possible, depending on the volume of cases in the particular location. Step Five- The “What’s”: What are my loved one’s responsibilities when released, and what happens if they don’t show up for their court date? This part of the equation depends solely on the defendant. After they have been released, it is their job to show up for all court proceedings, as well as meet the conditions set by our agents. If your loved one fails to meet these guidelines, our agents will become responsible for their bail, and will collect the defendant to be taken back to jail. Not only this, but you may lose all collateral that was signed over as security for the bond. As you can see, there are many steps involved in procuring a bail bond. However, this process doesn’t have to be so difficult! The professional team at Around the Clock Bail Bonds in Burlington, NC, is here to help any Alamance County defendants and their family navigate through the bond process, leaving everyone with peace of mind. Want more information on how our agents can help you? Contact Around the Clock Bail Bonds today at: 336-455-0142.